"A gorgeous island, complete with unspoilt beaches, majestic marine life and some of the best diving and snorkelling in Europe." Zante is a stunning island located in the heart of the Ionian Sea, it combines beautiful beaches with a host of underwater treasures, to create the ideal beach holiday package. It is an island that is blessed with a plethora of incredible beaches, many of which are used by a colony of sea turtles as breeding grounds, making them far less developed than other Greek beaches. This only serves to enhance their beauty and when coupled with the incredible sea caves that are dotted around the island’s coast, it turns Zante into an aquatic paradise; the perfect blend of nature, wildlife and underwater treasures. The island is split into two very different scenic views. In the North and West the island is covered with wild greenery and mountains. However, within the central and southern plain there is a delightful mix of shady olive groves, vineyards and valleys. In the south is where you will find the best sandy beaches which lie within the Marine Park which has been set up to protect the nesting grounds for the endangered loggerhead turtle. If you are seeking a tranquil unspoilt rural surrounding close to a beach then Laganas Bay in Zante is the best place for you. With a selection of tavernas, cafes and mini markets, as well as some great walks that can be taken through the villages and boat rides to be taken to explore the caves and Marathonissi (turtle island) there is something for everyone. The beautiful island is relatively large covering an area of 406 kilometres and has a population of 40,000 people. Its capital is an old harbour town, also called Zakynthos, which is a hub of tourist activity. Outside of the capital the island is famous for its gorgeous beaches and stunning white cliffs, making it the ideal holiday destination for those who love beautiful natural scenery. The island is also ideal for anyone interested in an island hopping holiday. Zakynthos is characterised by a warm summer climate, making it ideal for people who want to enjoy the sparkling blue waters of the Ionian Sea. The hottest months of the year are June, July and August, when the temperature regularly sits in the high-twenties, the sea is warm and rain is incredibly rare. 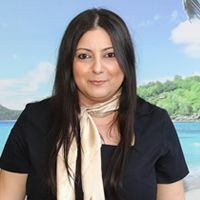 Zakynthos is also lucky enough to have warm springs and autumns, meaning that it can be visited as early as April and stays hot well into October. Inhabited since Neolithic times it was even mentioned by Homer in the Iliad. It became rich, due to its important strategic location, with inhabitants of the island establishing colonies in Crete, Paros and Spain. It remained neutral during the Persian wars, before joining the Athenian side in the Peloponnesian war. This meant that it became an oligarchy after Athens’ defeat, passing through Macedonian and then Roman rule, in the forthcoming centuries. Zakynthos became a Venetian state, known as the Flower of the East, before eventually falling to the Ottomans in the 15th century. The island then swapped between France and Britain in the 19th century, before eventually joining the new Greek state in 1864. Some of the most well-known dishes on the island include the stuffed rabbit, with Greek classics like souvlaki, gyros and stifado all eaten regularly. The island also has a wide selection of fish dishes, including mullet and swordfish. There are also a number of authentic deserts on the island including kadaifi, a sweet spiced with cinnamon and syrup. The island paradise of Marathonissi is ideal for wildlife enthusiasts, due to its large population of sea turtles that breed on the beaches of the island. 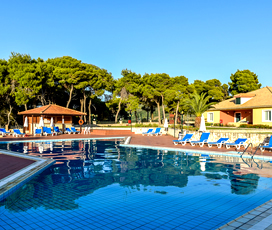 The Tsilivi Waterpark is a beautifully situated waterpark offering aquatic fun for people of all ages. Moreover, there are many beaches and sea caves that populate the island’s coastline and are ideal for those who love to snorkel or dive. 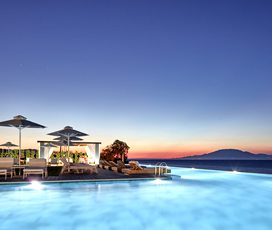 With much variety, a family holiday to Zakynthos will be one to remember. The famous Navagio Beach is an isolated cove that can only be accessed by boat. It is renowned for the lonely shipwrecked boat that rests upon its sands and is a must for anyone on the island. Visitors should also go to the uninhabited island of Marathonissi, an unspoilt area, where sea turtles breed. In addition, there is also a host of great diving sites around the island, including the blue caves, which can be visited by canoe or as part of a boat tour. The island does not disappoint for its entertainment and is one of the best Greek islands for nightlife, with a myriad of bars and restaurants. The best region to visit is Laganas, with both the waterfront and the main-street populated with clubs. 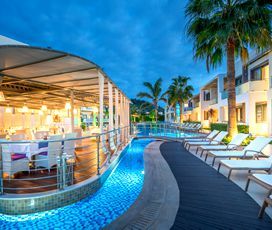 Other nightlife destinations include Tsilivi and Argassi, two other popular beach resorts, as well as in Zakynthos Town itself. 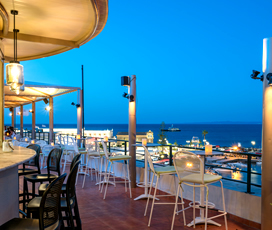 The island also has a wide selection of tavernas and bars, ideal for friends and families.